If grout were a person, he’d be a finicky old man laying idle between porcelain walls while clinging to past wrongs and refusing his sponge baths. It’s not all bad, of course. Tile is a common household surface. You find it throughout a home; in entryways, restrooms, showers, kitchen counters and general flooring. Wherever you find tile, you find grout. They’re a fine pair, keeping homes cool and providing a sleek, stylish aesthetic. Less fragile than wooden floors and more resilient than carpet, tile and grout have a lot of plusses. In the event that you (or your dog) spills something, cleaning up is as simple as wiping up. Well, most of the time. We’re going to divulge a few dirty secrets about grout and the problems it can create in your home—as well as a few solutions. Grout, on the other hand, poses a few challenges. There are many different kinds—sanded, unsanded, quarry, cementite and so forth. All of them are porous. This means that grout soaks up all the dirt, microbes and even water that washes over it. Cleaning is further complicated by the fact that grout sits lower down than the tile it accompanies. A common trend in modern residential spaces is smaller tiles. While this creates an elegant and seamless look, it also creates a higher ratio of grout—meaning even more difficulty cleaning. Grout is the kind of personality that lets life wash over him, holding onto the unpleasant bits and darkening over time. He’s also the kind who doesn’t take well to soap. That’s right, grout is tough to clean. To some extent, this varies depending on the kind of grout. A study from the University of Helsinki concluded self-sealing epoxy is the hardest and least porous of all grout materials. Lucky for you if you have it in your house, because it’s by far the easiest to clean. 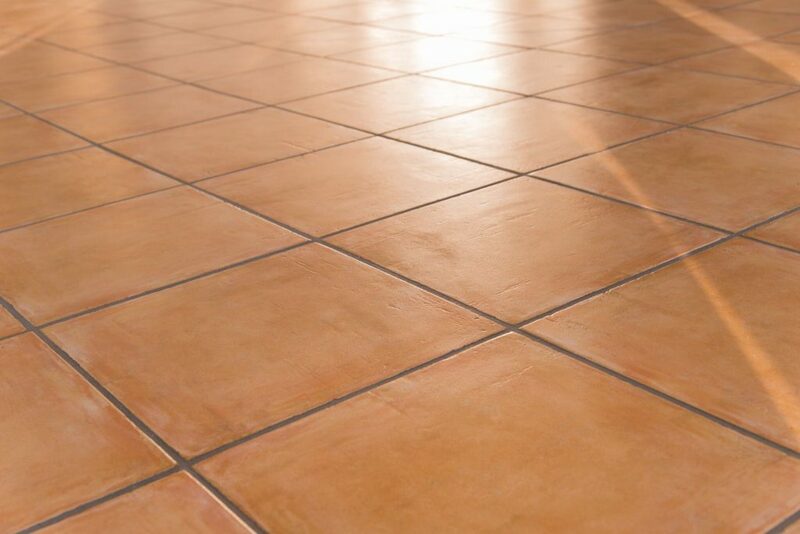 No matter the kind of grout, however, tile is prone to cross-contamination. This is in part because grout clings so dearly to dirt and debris. Take a look at any commercial kitchen, and you’ll find this is the reason restaurants opt for prep surfaces made from stainless steel. The cost of stainless steel surfaces aren’t in most people’s budgets (and you may not want your kitchen to look like the interior of a spaceship, anyway), so there’s nothing wrong with classic tile when it comes to residential spaces. But, it’s worth noting that grout is resistant to traditional cleaning methods. Viscous detergent seeps into pores and leaves residue. Mop water may remove some soil, but it also spreads it and can actually lead to staining. 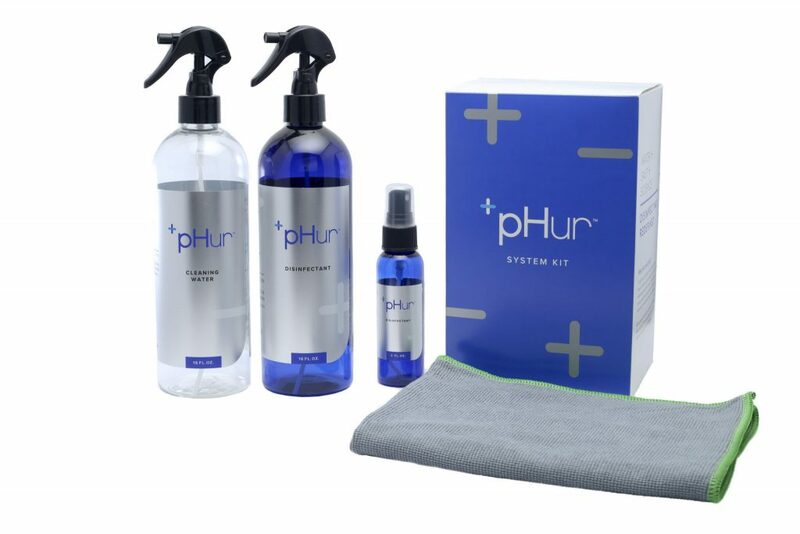 In a study conducted by Dr. Jay Glasel, it was found that mops leave up to 30 times more bacteria than spray-and-vacuum methods, as discussed in point four below. 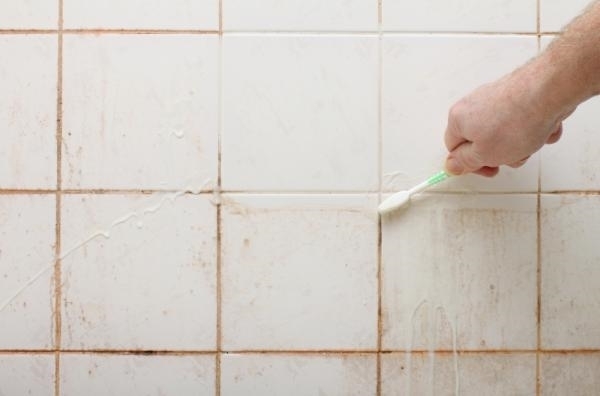 In fact, most studies conclude that porous grout is a breeding ground for bacteria. In the study “Cleanability in Relation to Bacterial Retention”, it was discovered that surfaces with the greatest number of irregularities (pits, crevices, pores, etc.) were the least cleanable because they had more attachment sites for bacteria. The coarse topography of grout indicates that it’s more likely to retain bacteria than other, smoother surfaces. Similarly, it was discovered that out of six kinds of countertop surfaces, tile is among the most likely to retain E. coli. Tile is hosting an unexpected house party. It may look tame and inanimate, but it’s actually making a mess, proliferating recklessly, and dancing wildly under your nose—all without the consent of you, the homeowner. It’s worth noting that kitchens and restrooms are common places for tile. In fact, many high traffic areas feature tile because of it’s durability. The downside to this is that in addition to retaining soil, grout is often exposed to it because of its proximity to microbe communities. For all his toughness, roughness and hard-to-reach-ness, Old Man Grout is quite sensitive. Steel wool and coarse brushes are erosive. Acidic and basic cleaners do damage over time. Bleach stains. You should only use pH neutral cleaners on tile, but they can be tough to find. 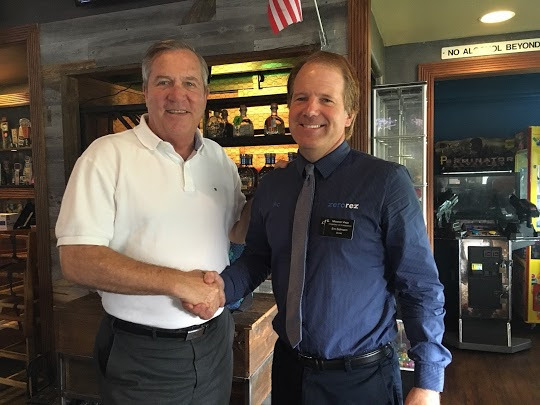 Sealers are another solution worth investing in. They come as impregnators (penetrating sealer) or coatings (nonpenetrating sealer) that protect grout from stains and water infiltration. However, the DIY route is labor-intensive and it can get messy. It’s worth noting that nothing you buy off of a shelf has the bacteria-blasting benefits of a professional cleaning company like Zerorez. 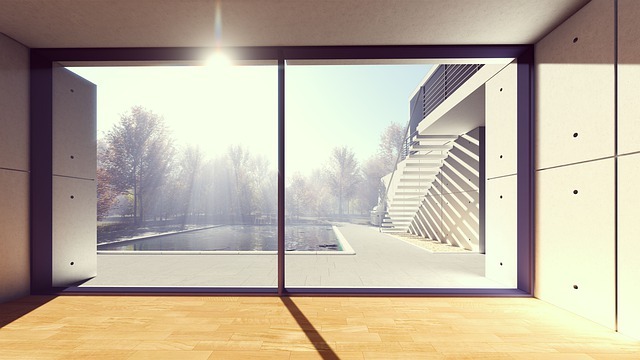 We offer professional cleaning and professional sealing.